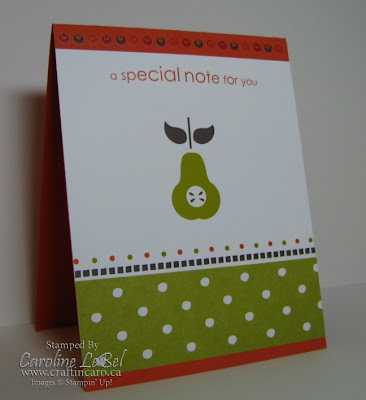 Craftin' Caro: "Bright Delights" Rub-Ons card class! 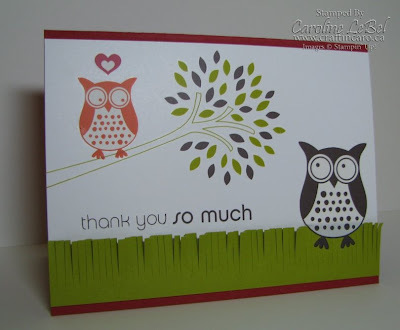 "Bright Delights" Rub-Ons card class! Ugh.. I am COVERED from head to toe in glitter, and it's not even because I was stamping. I've spent the morning doing nothing but clean my stamping room up and organizing everything -- it was a true disaster in there. That was all fine and dandy while it was raining and yucky, but the sun is shining now so I might have to sneak out for ice cream with the kids later! 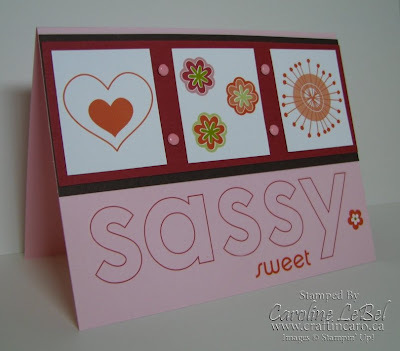 Today's 5 cards are the ones we will be making tomorrow using the "Bright Delights" Rub-ons. I love these babies! You get 2 full colour-sheets of them, and I didn't even use up a whole page making these cards; there's tons left. 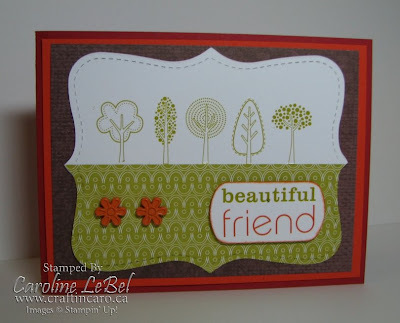 "Stampin' Up's Rub-Ons are exclusive designs that look wonderful on handmade cards and tags. But they’re also perfect for adding images to difficult-to-stamp surfaces, such as glass jars, plastic notebooks, photo frames, buttons, and ribbon. 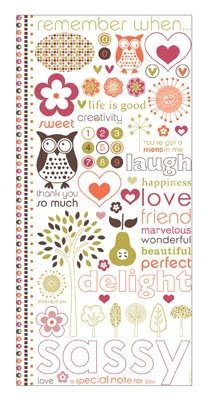 5-7/8” x 12” intricately designed Rub-On sheet. ■ Coordinates with our Retro Fresh Style Watch." Please let me know if you are interested in attending Friday's 1pm or 7pm spots! oh .. my .. goodness (runs back to her catalogue). they are TOO cute, caro!!!!! Yep! Gotta order me some of these! Waiting till June 15th so I can order the BBQ kit!